It’s no surprise that many hardworking Americans find themselves facing overwhelming debt due to medical bills, credit card bills, foreclosure fees, and other obligations. With chaos and upheaval in the economy, it can be hard to know where or what can be done to keep your economic life safe. Sometimes the best course of action may be to declare bankruptcy in an effort to either liquidate debts (Chapter 7) or reorganize those debts in a manner that makes it possible to make payments (Chapter 13). Filing bankruptcy in St. Petersburg is not a decision to take lightly, but it’s also nothing to feel ashamed of. Not only was it specifically written into the US Constitution, but in an economy where medical bills contribute to more bankruptcy filings than any other cause combined, you can begin to understand why contacting St. Petersburg Financial Lawyers at Legally Modern Law Group can be an important step in keeping your financial situation safe. ​Filing bankruptcy may also give you the peace of mind you need to move forward in life. After filing bankruptcy, the harassing calls will stop as well as wage garnishments, credit card lawsuits, and bank freezes. 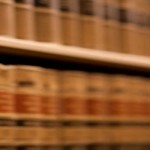 St. Petersburg Financial Law experts Legally Modern Law Group, LLC can help you. Call us today.